New research shows that being overweight more than doubles your chances of having a stroke. In addition to increasing your risk of stroke, being overweight makes it more likely that you will have a stroke at a younger age. Your ideal weight can be calculated by using a formula that determines body mass index (BMI.) You can figure out your body mass index on your own by dividing your current weight (in lbs.) by your height in inches squared. The result of that calculation is then multiplied by 703 to get a number that is usually between 14 and 40. You can do the math yourself or you can use a calculator to calculate your BMI. A BMI between 25-30 is considered overweight, while a BMI over 30 is considered obese. Scientific studies that determine the relationship between stroke and weight generally use BMI as the measure to determine whether participants are a healthy or unhealthy weight. Another research study specifically evaluated healthy volunteers and compared them to study participants who were diagnosed with a condition that is defined as metabolic syndrome. Most people with metabolic syndrome do not even know they have it. Metabolic syndrome is an illness that develops in people who are overweight, but not necessarily obese. The weight gain characteristic of metabolic syndrome is associated with moderately elevated fasting blood sugar, high blood pressure and high fat and cholesterol levels. The researchers found that the participants who were diagnosed with metabolic syndrome had double the rate of stroke over a 10 year period when compared to the general age-matched population. Why Does Being Overweight Cause Stroke? Medical scientists have found that being overweight leads to hypertension, which is one of the leading causes of stroke. Another effect of being overweight is that the body’s metabolism changes in ways that lead to an excess of circulating lipids, high cholesterol and elevated blood glucose, all of which, over time, harm the blood vessels of the brain and the heart and lead to the formation of stroke-causing blood clots in the heart and brain. There are, however, some other, unexplained links between obesity, overweight and stroke that are independent of diabetes, hypertension, high triglycerides and a high cholesterol level that are commonly associated with being overweight. 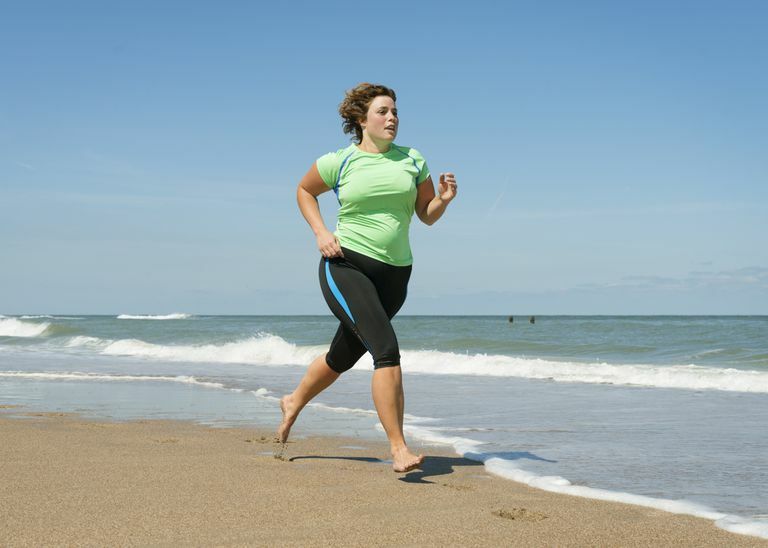 Thus, to reduce your risk of stroke, it is recommended that you try to lose weight if your BMI is higher than normal. One of the consistent findings in stroke prevention research is that the damage that is caused by most of the known stroke risk factors, such as obesity, are, in fact, reversible. That means that if you are overweight, losing weight to try to get to your ideal weight can reverse the negative effects of those extra pounds. Weight loss is one of the most challenging lifestyle changes. Exercise is one of the cornerstones of weight loss. Healthy eating is one of the most effective ways to lose weight. A diet rich in antioxidants and foods such as nuts and fish can help you lose weight and reduce your stroke risk.